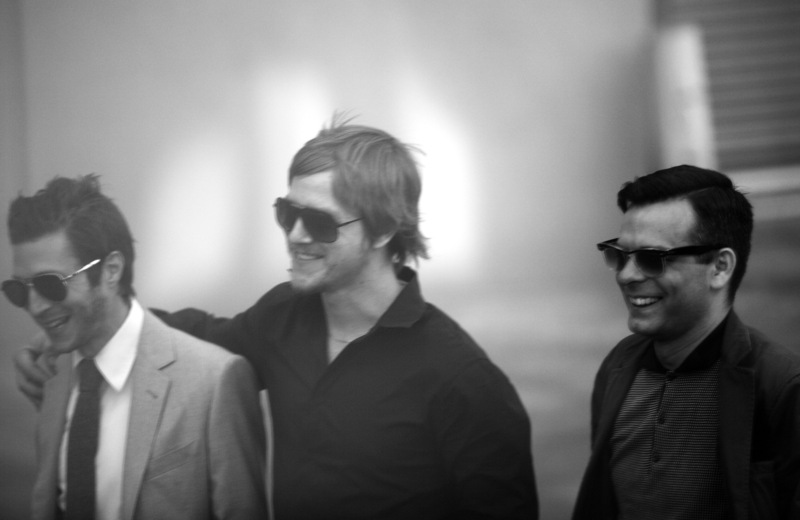 There were no guarantees that Interpol would make another record. Following the departure of bassist Carlos Dengler at the end of sessions for their 2010 self-titled LP and a relentless marathon of more than 200 shows in support of it, the band’s remaining members—guitarist and backing vocalist Daniel Kessler, singer/guitarist Paul Banks, and drummer Sam Fogarino took a break for most of 2012. For the first time, they all lived in different cities, providing both geographic and mental distance from all things Interpol. 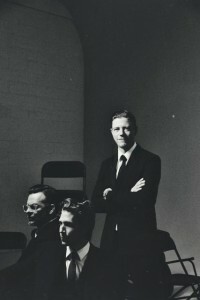 Technically speaking, all things Interpol began at NYU in 1997, when Kessler recruited Dengler and Banks to form a band. “I didn’t care so much about talented musicians or having similar tastes in music as finding people with a certain sensibility,” he remembers. 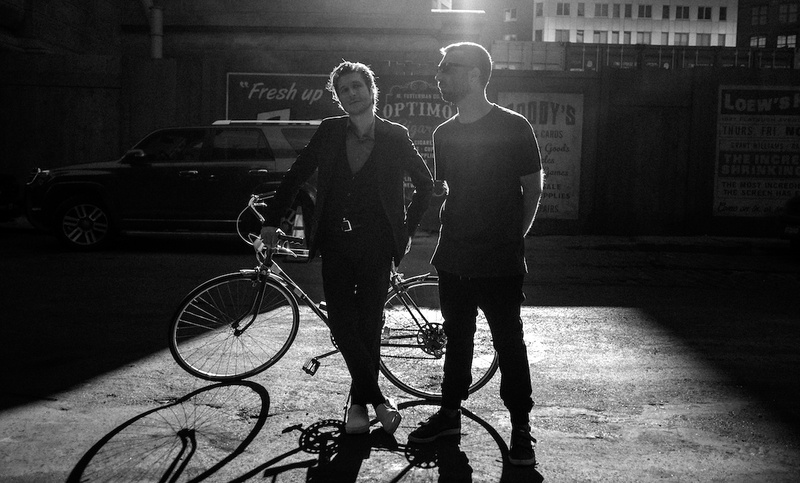 In 2002, with Fogarino on drums, the band signed to Matador and released ‘Turn On The Bright Lights,’ which Pitchfork named the year’s #1 album. Over the next decade, they would go on to release a trio of records that found them cracking the Top 5 on the Billboard 200 ; earning rave reviews from Rolling Stone to TIME; headlining major festivals like Lollapalooza and touring with iconic bands including U2 and the Cure. They explored side and solo projects during their time apart, but ultimately found themselves drawn back together again, not by any expectations of returning to the studio, but rather by that same unshakable urge that brought them together in the first place, to let the music lead them where it may. 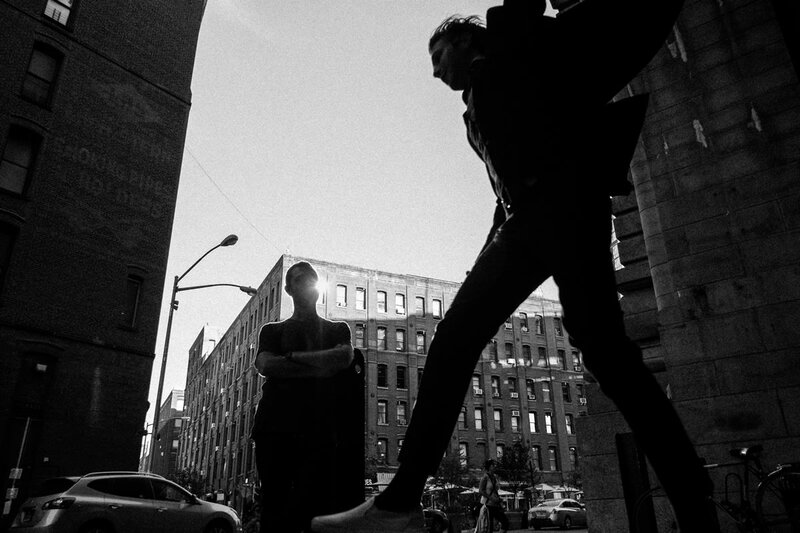 All Access Music writer, Nicole DeRosa had the pleasure of chatting with Daniel Kessler about El Pintor before he and the band jet off for South America. Daniel talks about the creative process, inspiration and much more below. Hi Daniel! Where does this interview find you? What’s on the agenda today besides our interview? Today I’m just getting ready before Monday when we leave for South America – we’ll be travelling to Chile, Brazil, Argentina, Paraguay and then in April and May, we come back around to tour the States including playing at Coachella. For those not as familiar with Interpol and your music, how did you get your start in music Daniel? How did you know you wanted to form the band with one another? I started playing guitar when I was about 14 years old or something like that, pretty loosely. It was right around the time I stopped skateboarding, I remember. (laughs) I never took too well to lessons so I just started writing my own songs and I really enjoyed it and it became really important to me. When I was in college I started realizing more that if I don’t try to play music and achieve forming a band I would be pretty miserable or not trying at least. So, I just started approaching everyone in the band, individually and somehow we had a band for about 4 or 5 years making demos and not having many records labels too interested in us and then we finally had the chance to make our first record in 2001. We were definitely a part of the old way of doing things back then. We were in the minor leagues and it was tough. Sometimes you may think you want to quit before you might have had a chance to make a record and then you don’t and you decide to persevere and hopefully it makes you a better band. It made us a better band. 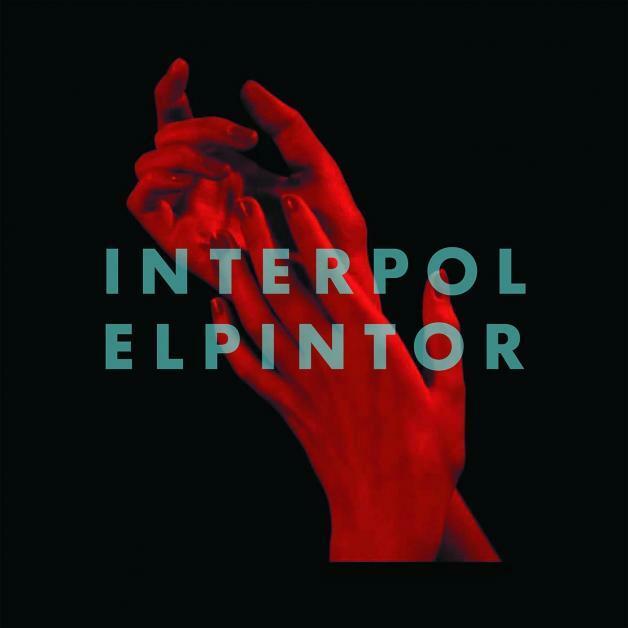 You guys released your fifth studio album, El Pintor this past September. 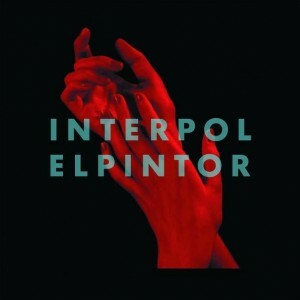 What did you guys learn between albums that you felt you wanted to infuse into El Pintor? Ya know, I never really think too much about what would be cool to do next. I never really sort of make a conscientious effort.We tour pretty hard after we release a record and with that, I find touring to be more about touring and less about writing, which is great. I love playing live and I love being able to play our catalogue now to people all over the world. It’s a real privilege. The good thing I discovered when I’m on the road is that even though I write more when I’m at home, I can also write when I’m on the road too. But the good thing about being on the road is that it gives you time to enjoy new experiences and grow as a person so when you finally get back from touring and take a little break, you have a new approach to writing music and writing songs. Something gets planted from that and it kinda grows from there. I don’t really know what I’m trying to do when I start writing songs. They just kinda come out. I never really knew I was trying to write the songs that I wanted to be on El Pintor, but I think I was kinda in the mood to do it and some of it kinda came out of left field. Some of the parts of the album are kind of conceptual in parts, which is great where you can challenge yourself. It’s a very organic process, for lack of a better word. Interpol is one of those bands that are unique in the sense that your songwriting methods include all of the band members, rather than relying on any given chief songwriter. How does that all come to fruition to create a cohesive song? The songs tend to begin with me and then I’ll take them to Sam and Paul and then we start dressing them up as an Interpol piece. It works out really nicely especially as Paul has now assumed bass and bass guitar duties.It works really well and no one gears one person to one direction and that’s what is important to us. I might bring something to the table but then Sam might start playing a beat but Paul might start being more influenced more by Sam’s beat then my guitar part and start going in that direction. We don’t know what it’s going to sound like at the end and that’s what makes it so exciting. What was the first album you purchased for yourself? I grew up in a small town in England and France with my family and it was the early ‘80s when my brothers were all punk rock kids and that was their religion, so I was always around incredible underground music. I think the first album that I bought for myself was probably U2’s Unforgettable Fire. I was maybe like 10 years old, I think? I was really young and for me to go buy an album for myself was a mission. The closest shopping mall was about 45 minutes away from where we lived. There was like three music channels in France and there was one music channel that would come on at like midnight and we would record the show overnight and watch it the next day and I remember hearing about that record on that show and getting excited because I knew I wanted it when I heard when it just had come out. Do you remember the first song you fell in love with? That’s too hard! I can’t…. (laughs) that’s not fair, come on! I mean, Hendrix is one of my favorite guitarists. I would love to sit around with Hendrix for sure. I mean he is my favorite guitarists. He was a virtuoso guitarist and if not just a league of his own, he was on a planet of his own! He was so fresh. His singing delivery and his melodies and his guitar playing were just incredible. He was one of a kind. There are so many bands, that too hard! I can’t pick…that’s impossible. I think one of the best parts of when you do festivals is that you don’t really get to see a lot of your friends back home ironically because they are always touring. At festivals though, our lines luckily do cross. I’m excited about the new Mogwai record. I’ve know those guys forever, like since their first record. Also, I dig the new TV on The Radio record. What’s on tap next for you Daniel? What are you most excited about in 2015? Well, I’m definitely excited for the Interpol South America tour and going to Europe and then back to the States. For me personally, I have this other record that I just put out. It’s my debut album called, First Light with my side project, Big Noble with my collaborator, sound designer, Joseph Fraioli which came out on February 2nd. It’s probably the opposite end of the spectrum from Interpol in that it’s all instrumental and almost like music for film. That was fun to do. And also, making videos for each one of those songs was fun too and those are now online (and below) for you to check out. I think doing something with your friends fuels your fire for things and with Interpol too. I think it healthy and fun. It’s a very different project and a little more left of center, if you will. I would love to do soundtracks, but so far its really just music for music sake with my collaborator and friend and not really having a specific plan for it, but rather just working with someone else and seeing what happens when you work with someone for the fun of it. To learn more about INTERPOL , visit them HERE . To learn more about BIG NOBLE , visit them HERE .